The Bringer Trilogy has a map! 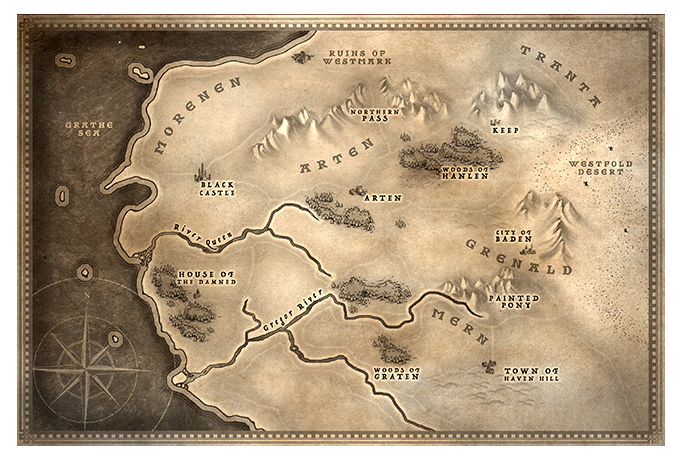 I’m happy to share the map that will be in the final book of my epic fantasy series, The Bringer Trilogy! Having grown up with the art of the Hobbit by J.R.R. Tolkien, I’ve always wanted to see a map of Lynden and Jonathen’s world. I hope it helps readers follow their journey. 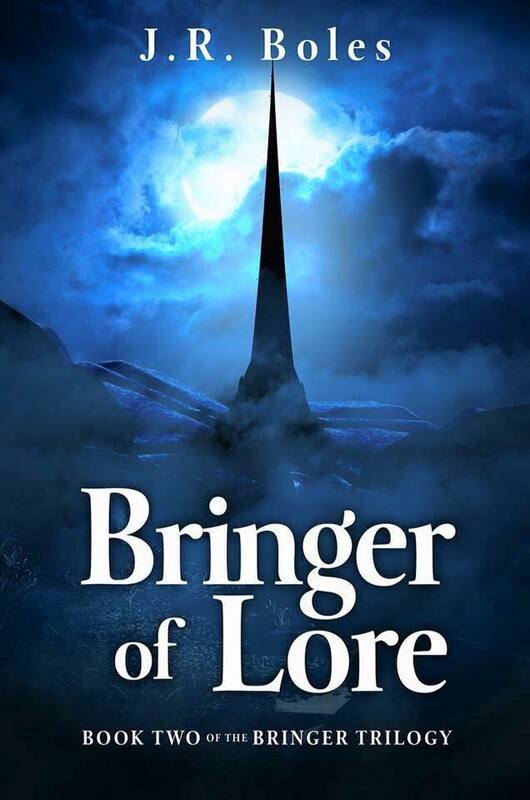 Live Long and Prosper, J.R.
Silas is on the hunt for a renegade mage who has brought Bitterbush Springs to the brink of open warfare. In the aftermath of a shootout, he meets Lainie Banfrey, a young woman who is both drawn to and terrified of her own developing magical abilities. 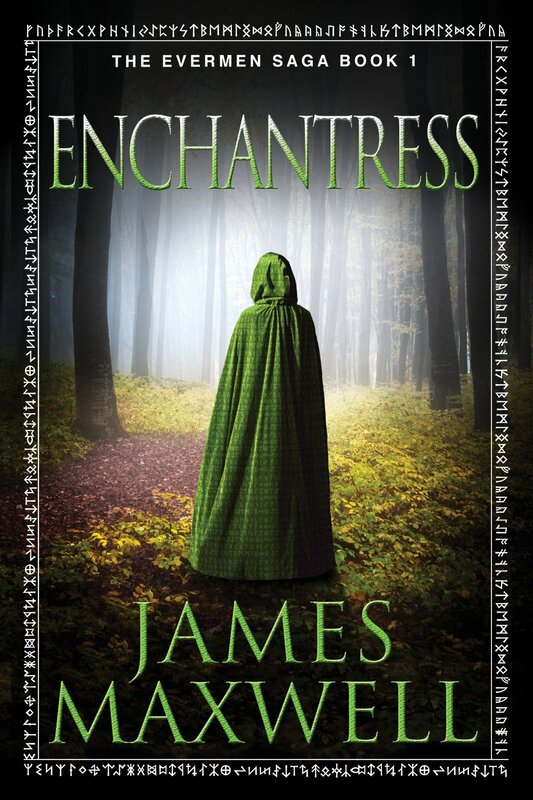 Silas and Lainie team up to stop the lawless mage who has torn Lainie’s hometown apart. Their hunt takes them deep beneath forbidden lands held by the hostile A’ayimat, where only Lainie’s untamed, untrained gifts can save them from the rogue mage and the dark power he has discovered. Review: This book had me from page one. 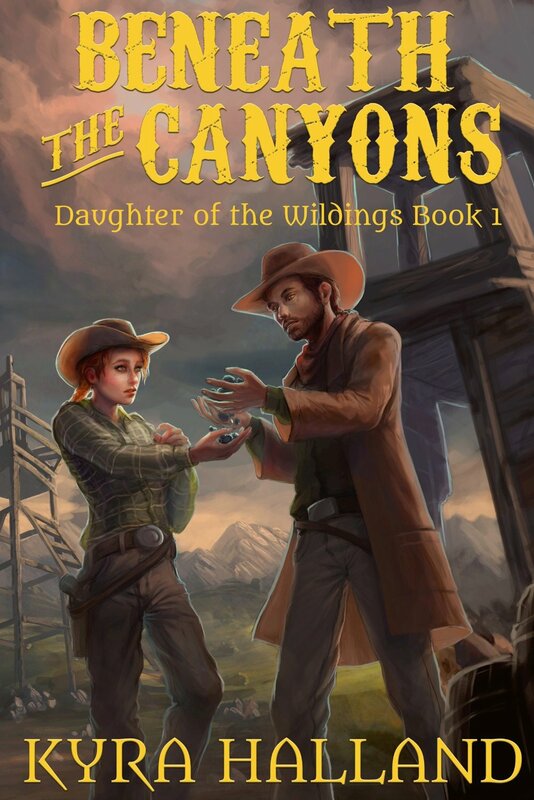 It has fantasy, mystery, and western with a great romance plot throughout. The intrigue kept me turning the page, and the well-developed characters made me care about what would happen next. The plot was evenly paced, and it pulls you along to the end where you will immediately need to buy book two. There are western shootouts and farm hands looking out for their boss’s daughter. There were other magical races with an interest in one of the main characters. And there is a romance that changes the course of two character’s lives. Lainie is a well-developed character with layers and competing motivations. She’s stubborn and loyal as all heroes tend to be. She’s not one to wait around to be rescued, but if she does need help she joins in to help her would be rescuers. She’s spent her life being told that magic is bad and Mages are soulless, but she believes in herself and trusts her instincts in the face of all she has ever been taught. She’s young and naive, but also strong and insightful. The magic system is well thought out. The magic has a color/essence and leaves an energy residue. It also has a cost and can be depleted. An overlord style mage council controls the bloodlines and procreation of Mages. The Mage School is used to break them and remake them into something unrecognizable. I can’t wait to learn more about the secret council, and the underground movement to protect plain folk (muggles). I would recommend this to anyone who enjoyed Brandon Sanderson’s The Allow of Law. Book Blurb: A fragile peace. A clash of magic. A woman with secrets. 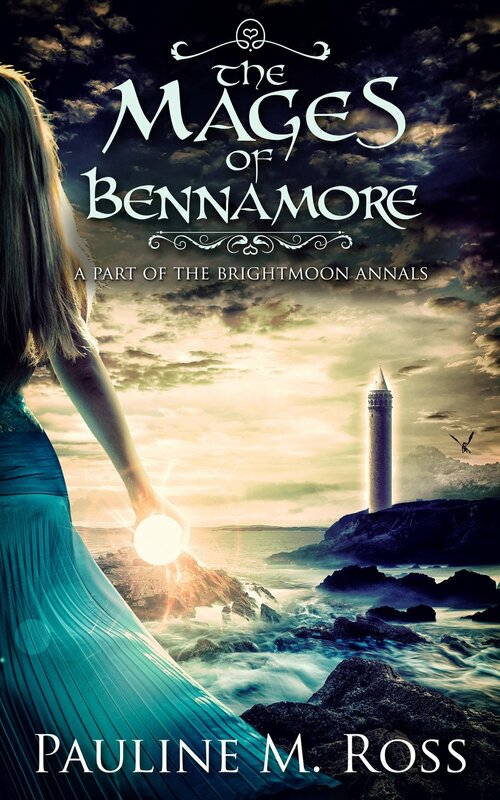 The war between Bennamore and the coastal region was over almost before it began. But the uniquely powerful mage who forged the alliance is dead, and the coastal folk are restless. Now the victors are bringing their spellcraft to the Port Holdings, unaware that the locals have their own less conspicuous magical ability. Fen’s new job with the mages of Bennamore seems pleasant enough, but their powers threaten to expose her shady little habits. And then she can’t shake off the attentions of the flirtatious and uneducated guard, Mal. Nothing, it seems, will deter him. The mysterious disappearance of a mage uncovers a dragon’s nest of deceit. Mal needs Fen’s help to figure it out, but she has divided loyalties and her past drags everyone into the middle of a violent conspiracy. Yet she may be the only one who can stand between the two countries, and stop them plunging back into a war which, this time, would destroy all of them. Review: Pauline M. Ross is a master at creating multidimensional characters that you will be rooting for as you dive into her intelligent and highly creative plots. This book was a page turner that quickly evaporated any respect I had for the next day as I stayed up later and later to find out what happened next. The main character, Fen, is middle-aged, heartbroken, and has left her life on hold because of a fruitless dream. And yet, she is also highly intelligent and strangely endearing. She has secrets that have secrets, and as the plot unfolds she must reveal them all. The magic system of this world that Ross is building in her Bright Moon Annals just keeps getting better. Here the Mages of Bennamore call their magic “connections” and some of them may surprise you with the reach of their gifts. There are more ruins and more mysteries added to this world, and I can’t wait to see where these mysteries will lead Ross in her next installment! The first person narrative is well done and pulls you slowly further into the mind of the main character as she admits more and more of her own reasons to herself. The action was perfectly paced and gripping. The side characters are well written, and the romance threads itself throughout the book as the backbone of the story. I would recommend this to anyone looking for an intelligent main character and complex plot. Highly recommended! I was given an ARC copy of this story in exchange for an honest review. Book Blurb: Deep within the Wood, a young woman lies dead. Not a mark on her body. No trace of her murderer. Only her chipped glass slippers hint at her identity. Review: This was a quick read that doesn’t ask much, and that was all I wanted from it. It is a beautifully spun tale weaving together so many fairy tales into one cohesive plot. The prose was minimal, but it added to the general feeling of the Woodcutter’s narrative in a way that is hard to describe. The main character is the Woodcutter, a sapling that looks like a man but bleeds sap. He maintains the border of the magical woods in which he lives with his human wife. I found the wife character to be a great relief. She is not described as anything but ordinary, and in the life of the Woodcutter her utterly ordinary existence is a treasure. Their love is steady and reliable, and throughout the novel the Woodcutter trusts that love and it gets him through the hard times. I thought that was wonderfully written. The antagonists are not complicated, and you won’t be wondering about their motivations. The Queen and the Gentleman were despicable and willing to use children to get their way. 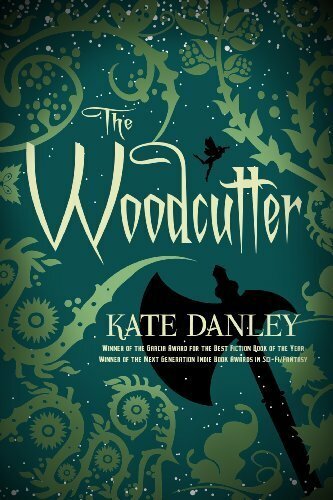 The magic rules that the Woodcutter is constantly working within were fascinating. I really enjoyed the world that Danley creates for her characters, and it was easy to escape into their story for a while. This is an unconventional love story that leaves you feeling lighter at the end. I was pleasantly surprised that the turning point of the book became friendship rather than romantic love. Over 2,000 Likes on Facebook! Book Blurb: In Gelia City, magic is music: a constant ever-changing melody known as the Strains. 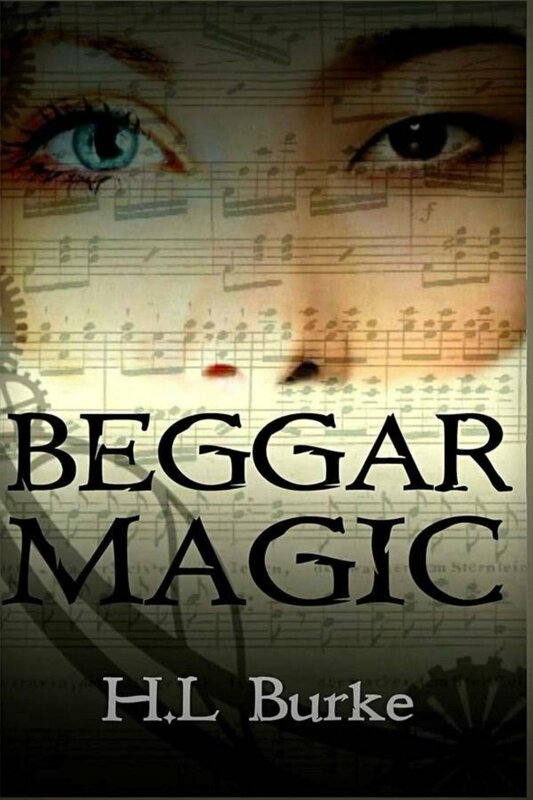 Hereditary ability to use the Strains divides the city into two classes: the wealthy Highmost, who can access the full potential of the Strains, and the Common tradesmen, who are limited to mundane spells, known as beggar magic. With the help of the Strains, Common teen Leilani rescues and befriends a gifted Highmost girl, Zebedy. The girls’ friendship opens Leilani’s eyes to the world of the Highmost. She’s intrigued by Zeb’s close relationship with the Strains, and longs to know them as she does. Zeb, in turn, comes to depend on Leilani’s strength and intelligence, making them an inseparable team, ready to take on anything with the Strains at their back. As their unlikely friendship strengthens and endures, Zeb draws Leilani further into the Highmosts’ intrigues. Beneath the polished, academic facade of the Highmost manors lurks a threat to the Strains. An unknown force consumes their music, leaving only heart-rending silence behind. Leilani and Zeb will do anything to save their beloved Strains, but as the silence grows, they face danger their previously sheltered lives could never prepare them for. Whoever is behind the death of the Strains is willing to kill to keep their secret safe. To preserve the Strains, the girls may have to sacrifice their friendship, or even their lives. Review: This story started out a little slow, but it was so worth it to keep reading. The backbone of this story is friendship, and the two main characters forge together through all the odds against their sisterhood. Leilani is a very well written seventeen year old with a strong sense of self. She trusts her intuition and isn’t afraid to be herself even in the face of class discrimination. Zeb, on the other hand, is an incredibly sheltered girl with little life experience and a degree of naivety that I had trouble with from page one. Even though Zeb is beyond sheltered, she is also loyal and generous. Together these girls are a formidable team. The social structure places those with more magic as the higher class and those with lesser magic as the working class. The higher class is able to hear magic’s voice and manipulate it in extraordinary ways while the lower class hears a melody from the magic called the Strains. The magic system built upon the Strains is fascinating. The higher born mages are able to invent and heal with their magic while the lower born are limited to strengthening tapestries and lighting candles. The YA element definitely comes out in the lack of experience for both the main characters. The more sheltered character has aspirations for both of them to marry brothers and seems fairly obsessed with her mentor while the lower class, street smart, character has aspirations of learning and being useful. These motivations felt authentic for teenage girls. This was such a wonderful coming of age story for both of them. Anyone looking for a good YA fantasy will be pleasantly surprised with this book! Hello! 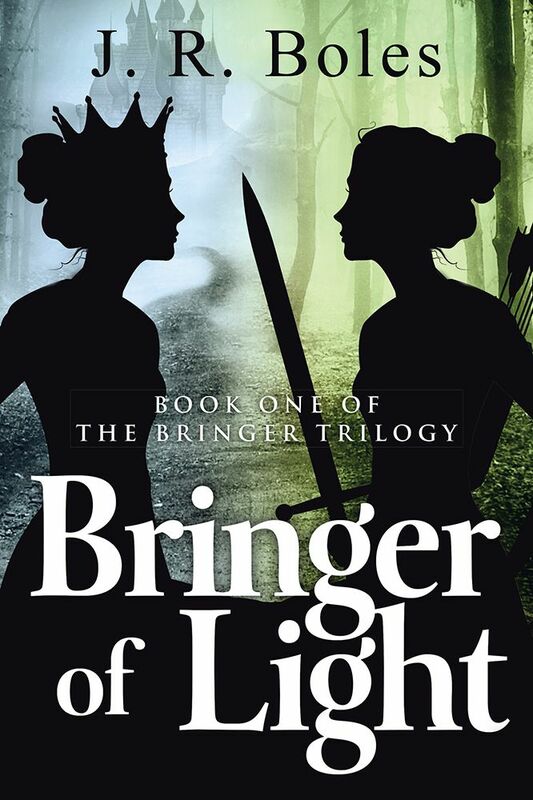 After a month hiatus to cuddle with my newborn daughter, I’m back to work on the edits to Bringer of Light 2. 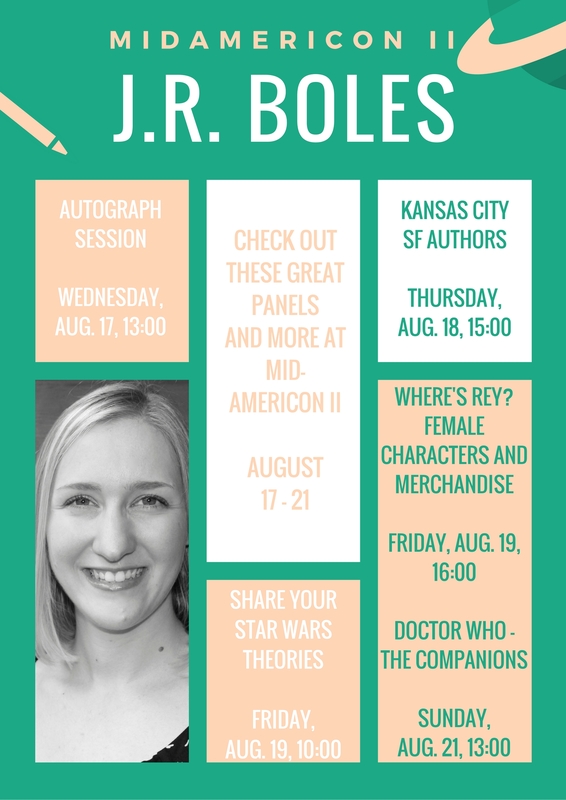 I’m currently participating in Camp NaNoWriMo to get a bulk of the edits done this month. Here’s hoping! Kit Foster Design is also working on the cover art for the second book. I will keep you all updated with his progress! Book Blurb: From the day Ella witnesses an enchanter using his talents to save her brother’s life, she knows what she wants to be. But the elite Academy of Enchanters expects tuition fees and knowledge. Determined, Ella sells flowers and studies every book she can. Meanwhile her brother, Miro, dreams of becoming one of the world’s finest swordsmen, wielding his nation’s powerful enchanted weapons in defense of his homeland. Review: This is your typical orphan with secretly important parents fantasy novel. You watch two siblings (possibly twins) grow from adolescence to young adulthood with the emphasis on the sister for the first half of the book but later more emphasis on the brother. I really enjoyed the descriptions and the world building. I liked the intrigue and the political structure of the world. The magic system is interesting in that the magic requires a specific substance to work, and of course that substance is at the core of the action in this book (the spice must flow). The sister, Ella, is a solid character. She is strong-willed and loyal to her friends, but she’s also the most talented in her class. She makes some big mistakes in the book, but she owns them pretty well. At points, it seems like she’s been written so that there is nothing she can’t do. She falls into the “I don’t know how beautiful I am” category, which I don’t particularly enjoy in my heroines. I loved how dedicated she was to learning and how hard she was willing to work to get an education. The brother, on the other hand, is your archetype stoic warrior. I’m hoping his character will get more fleshed out in the next book. The action and side characters are engaging, and I found this to be a quick read. The plot was creative, but I don’t want to give away any of it so I won’t. There are twists and turns and the side characters may surprise you. I did enjoy the different cultures in this book. It reminded me a bit of Jennifer Roberson’s Cheysuli Omnibus series in that respect. There were a number of typos, which was unfortunate, but not the end of the world. I would recommend this book to anyone looking for an entertaining fantasy novel with a strong main female character.